To donate to the Wild Horse Legal Defense Fund, please click here. To sign Return to Freedom’s anti-roundup petition, please click here. The U.S. Appeals Court in Denver Tuesday upheld a lower court’s dismissal of a suit the state of Wyoming filed seeking the removal of wild horses from public lands across Wyoming. The case was first filed in federal District Court by Wyoming, which sued the Department of the Interior and Bureau of Land Management, which oversees the government’s free-roaming wild horse program. 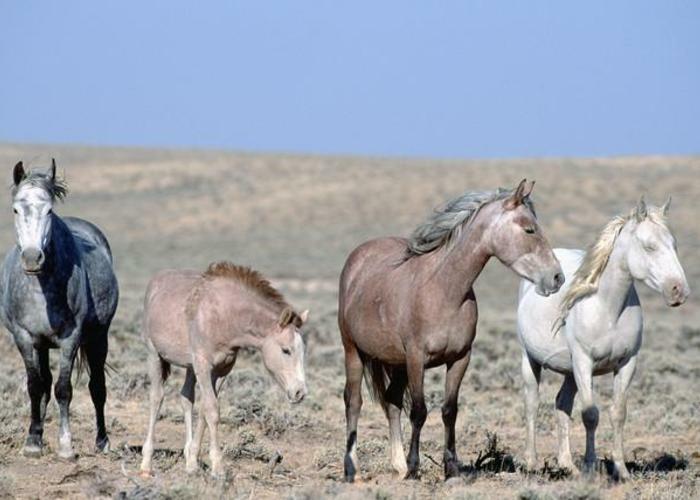 In December 2014, the state filed suit saying the BLM had made a decision “not to manage wild horses in Wyoming according to their mandatory, non-discretionary obligations under the Act,” according to a court document. The Bureau and the BLM responded that they don’t have a mandatory duty to remove wild horses from herd management areas. The district court issued an order dismissing the case, and the state filed an appeal with the Tenth District Court of Appeals. “The state’s arguments, however are contrary to the plain language,” of the law, according to the opinion issued by the three-member Appellate Court panel. Read the press release from Return to Freedom and its fellow plaintiffs here.